Transition Town Letchworth say "Join us for a festive evening where we will play the ‘Carbon Conversations’ games. Will these games, themed on travel, home energy and food, help us find our New Years resolution?" Tea / coffee at 7:30pm and discussion starts at 7:45pm. Admission free, but a donation of £2 to cover costs is suggested. 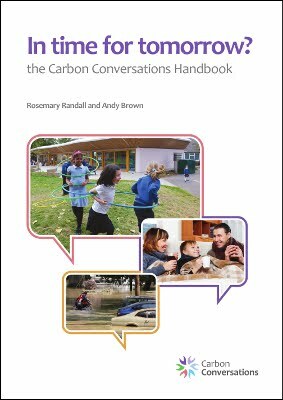 BCCF say "In December we'd like to share Carbon Conversations board games which are fun and really informative on how lifestyle affects the climate crisis and what we can each do about it in our own lives - in terms of personal travel, diet and home energy. We'll start off with a quiz type format and there will be vegan/veggie nibbles and drinks to share. Feel free to bring something to share if you like. Although it's rapid policy change that will REALLY make the dramatic difference needed, we guarantee that you'll go away knowing more about your personal carbon footprint. (Knowledge is power!) There may be some surprises there too." Room G001 (ground floor) of the Gateway Building at the Polhill campus of the Uni of Bedfordshire. All welcome, it's a free event but donations always very welcome to cover costs and to allow us to continue to hold regular events.